Today you can visit hundreds of specialty shops selling silk clothing, lacquer ware, embroidered linens, furniture, bamboo, cooking utensils, ceremonial objects and more. Then walk around Hoan Kiem Lake and ride a cyclo to dinner. You’ll be able to dine in gourmet restaurants, enjoy people watching at stylish cafes and shop for impressive modern art in the city’s many galleries. You can also choose to visit Hanoi’s main cultural attractions, including the Ho Chi Minh Mausoleum, his House on Stilts, the One Pillar Pagoda, the Fine Arts Museum and the Temple of Literature. In the morning you are free to explore Hanoi. In the morning you will depart Hanoi at 08:30 for a 3.5 hour drive through the Red River Delta to Ha Long Bay City. On the way, you will stop for refreshments. Upon arriving in Halong City, you will take a tender transfer to your junk and set sail through the bay while lunch is served. As you cruise the magical bay, you will notice thousands of sculpted limestone islands rising from the waves like dragons’ teeth. Later in the afternoon, you’ll visit a fishing village with the opportunity to interact with fishermen who have been living in the bay for almost three generations. Back on board, you’ll enjoy cocktails or a cooking class while watching the sunset and later unwind at a restaurant for a lavish dinner. Enjoy some evening activities such as movie night, board games, or a beauty treatment before an overnight stay on the junk. After rising to the sound of the ocean coming to life, you’ll enjoy breakfast, take a Tai Chi class and watch the sunrise over the bay (if you choose to get up that early!) You will visit a beautiful limestone grotto, then head back to the junk for a final glimpse of Halong Bay while cruising back to the dock. Disembarking at the Cruise Café Lounge, you’ll rejoin your private car for transfer back to the airport for a one-hour flight to Hue. Upon arrival at Phu Bai airport, you will be transferred directly to your hotel and have free time before an overnight stay. Hue is one of Vietnam’s five UNESCO World Heritage sites. At the nearby Museum of Royal Fine Arts, 128 ironwood pillars complement an exquisite collection of Nguyen Dynasty artifacts which you will examine, before visiting Hue Citadel, the Imperial City, the Forbidden Purple City and the Imperial Museum. The Imperial Museum includes a gallery of antiques displaying collections of bronze, pottery, chinaware, Phap Lam enamel, court robes, headgear and the personal belongings of former Vietnam Emperors. The tour continues with a visit to the Dong Ba market where you will enjoy lunch at local restaurant. Your stomach full, you can explore more of the area before settling in for a restful sleep. Breakfast will be served before you board a private dragon boat for a cruise on the romantic Perfume River. The charming Lady Pagoda (Thien Mu Pagoda) will be the first stop of the day and from here you will continue your journey to the magnificent tombs of Minh Mang and Tu Duc. Back to your hotel you will have free time and later have royal banquet dinner (joining because the private royal dinner is served with at least 10 pax up) and an overnight stay. Today you’ll take a breathtaking drive from Hue to Hoi An via Danang city. In Danang, you can visit the Cham Museum and Buddhist cave temples in the Marble Mountains. Once in Hoi An, you will check into your hotel and have some free time to explore and enjoy the resort facilities and turning in for the night. From the 16th to 18th centuries, Hoi An was a thriving international commercial port for Chinese, Dutch, French, Japanese, Portuguese and Arab traders. Trading was primarily for high grade silk, which is still produced in the area, as well as ceramics. Today, Hoi An is a quaint riverside town, popular with tourists for its eclectic architecture, tailors shops, and numerous cafes. Some of the buildings in the narrow streets have remained unchanged for more than a century. You will enjoy a half-day walking tour through the narrow winding streets of the Ancient Quarter, visiting Chua Ong Pagoda, the Chinese Assembly Halls, the 200-year old Tam Ky ancestral house, and the Japanese Bridge. Following the tour, there will be free time for shopping, including visits to local tailors who can do custom made clothing very quickly. Then, you’ll take a break and have a peaceful evening stay. Today you will have free time to shop, relax, unwind or take a trip to discover another the My Son World Heritage site. My Son is the former capital of the ancient Cham civilization that ruled Central Vietnam from the second to the thirteenth century and is considered to be one of the best-preserved Cham areas in Vietnam. The complex is comprised of seventy Hindu-like towers and temples dating from the second century. This site is a must-see for those people who are interested in architecture and ancient civilizations and is now one of five UNESCO World Heritage sites in Vietnam. Today you are transferred to Noi Bai Airport to board flight for Nha Trang. Upon arrival in Nha Trang Airport you are met and transferred to your pre booked Hotel. Voted as one of the most beautiful beaches in the world, Nha Trang boasts a six-mile stretch of fine white sand, quiet and warm waters, and stunning archipelagos. Today you will be free to relax and enjoy the resort facilities. Today you will take a short morning flight from Nha Trang to Ho Chi Minh City (HCMC), the country’s commercial centre and home to a growing number of upscale restaurants and shops. You can visit Chinatown, the Thien Hau Pagoda, the Reunification Palace, the Opera House, the Hotel de Ville and the War Remnants Museum. You’ll visit colourful outdoor markets and bustling Dong Khoi Street, the city’s main upscale shopping boulevard with boutiques selling clothes and accessories designed by new Vietnamese designers, hill tribe crafts, high quality linens and house wares. Depart from Saigon around 8am and head south to Ben Tre province, famous for its coconut production and quiet, peaceful waterways. On arrival, take a Xe loi ride through the local village of Huu Dinh to enjoy the green fields and gardens. Continue with a short walk to Huu Phuoc Bridge, where you will start your boat trip through small canals with beautiful tropical scenery. On board the boat, enjoy a welcome drink of fresh coconut juice and tropical fruits while cruising. The cruise will first stop at a brick making shop, where the locals still use centuries-old traditional methods to make the bricks by hand. Then you will head back to your boat to cross the An Hoa River, where you will take a sampan trip through narrow canals and enjoy the peacefulness of the region. The sampan will take you to visit one of our friends, Mrs. Huong, who lives with her 3 children and grandson – they live on fishing, shrimp and fruit orchards. Enjoy fresh fruits and tea before heading to visit a rice noodles factory which produces Hu Tieu noodles, one of most popular breakfast dishes in the region. Then switch to a bicycle and easily ride on village roads past green gardens and local houses, and stop at another local house where they live on their traditional family business, sampan boat building. Then continue your cycling trip to My Long to visit Mr Sau Tuong, a former Vietcong soldier who survived two years fighting the Khmer Rouge in Phnom Penh. Now he and his wife live on making rice paper which is the most famous specialty of My Long village. Have a chat with him and enjoy the crispy rice paper made by his wife, and see how it is made. Then return to the village road to carry on the bike ride to a local restaurant by the river side. It is time for you to relax and enjoy a 5-course lunch of local specialties. Relax and walk around the garden after lunch, and then visit the nearby house of Mr Hung, who is a famous sticky rice maker in the village. You can also feed his stock of catfish and walk through his fruit garden. Today you are transferred to Ho Chi Minh City Airport to board flight for Onward Journey. Michelia Hotel is centrally located in Nha Trang City and enjoys beautiful views of Nha Trang Sea. Offering 3 dining options, it also has an outdoor pool, free Wi-Fi and pampering spa services. Michelia Hotel is only 320 m from Alexandre Yersin Museum and 650 m from Dam Market. It is 35 km from Cam Ranh International Airport. Rooms feature modern design and are fitted with large windows which let in plenty of natural light. Each comes with a flat-screen TV, minibar and free daily newspapers. Spacious en suite bathrooms have a bathtub. For a good workout, guests can visit the fitness centre or rent a bicycle for some cycling on the beach. Water sports activities like snorkelling and diving can also be arranged. Goldfish Restaurant serves Asian cuisine, while Red Tilapia Restaurant features Western-Asian buffet spreads. The Coffee Shop provides a casual setting to enjoy breakfast and hot drinks. Green World Hotel Nha Trang is an elegant 4-star accommodation. It features an indoor swimming pool and free internet access. Guests can also select from 4 dining options including a poolside bar. This modern building is located only 400 m from Tram Huong Tower. Bamboo Island is 10.8 km away while Nha Trang Airport is 27 km away. It takes 5 minutes by car to reach Nha Trang Railway Station. Each contemporary room will provide you with a minibar, tea/coffee making facilities and a flat-screen TV. Featuring a hairdryer and plush bathrobes, the en suite bathroom includes hot refreshing showers. Some rooms offer sea views. Green World Hotel Nha Trang houses a fitness centre and offers various pampering spa treatments at Green Luxury Spa. The hotel can also arrange for diving and fishing activities. Other facilities include a 24-hour reception, airport shuttle services and a business centre. Hi Rajiv Thank you for that. We had a great trip and were very happy with the service and the guides. 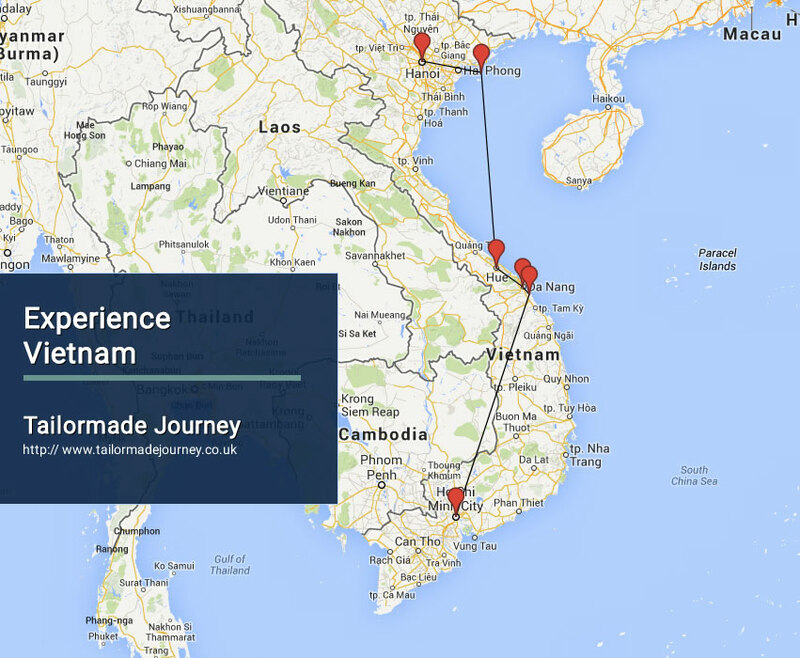 This was our 4 trip with Tailormade Journeys and We loved Mynamar especially. Karen wanted to get in touch with the nice guide we had in Bagan. Could you ask let us have his name and email address. Thank you. Just to express our thanks to you and your team for giving us a lovely holiday on Luxury Palace on Wheels train. It was a lifetime experience.